UPDATED 9/2: Ubisoft has denied that the PC version is held back by consoles. The publisher issued an official statement to PCGamesN. Some interesting new information regarding The Division surfaced in an interview published on Team Epiphany’s YouTube channel. This is something that’s been discussed a lot recently, with more than a few gamers intrigued by having such options on consoles. Still, The Division is not the first game to do that: The Last of Us Remastered, for example, lets you choose between locked 30FPS with higher shadow quality and unlocked frame rate (up to 60FPS) with inferior shadow quality. There’s more. The developer said that there’s a lot of stuff the team hopes to push even more going forward with the engine, which has a lot of potential but is still in an early stage. It is definitely a factor in it, but one good thing about The Division is we always considered the PC as a separate platform. I’ve worked on projects before where PC versions are ports from a console, so there are limitations over, but we’ve always been in the mind that we’ll have a dedicated PC build so it hasn’t really held it back too much. We do have to kind of keep it in check with the consoles, to kind of being fair just to push it so far away from them. 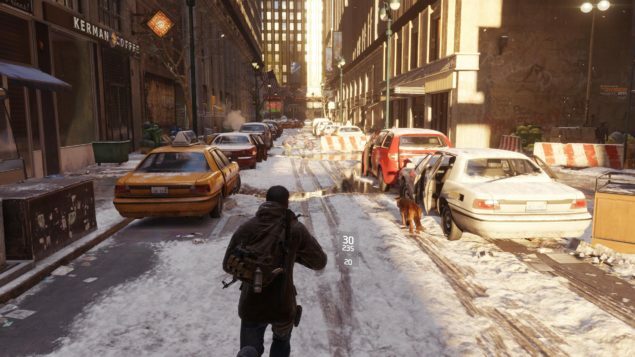 The Division launches on March 8 for PC, PlayStation 4 and Xbox One.